Does your dog have a behavior problem that is too overwhelming to fix? Bennie’s “moment of clarity” came when working with a client who was overwhelmed. The Secret – Break down a bad behavior problem into its parts! Then you then have an easy way to address the problem… one step at a time! Trying to take your dog out for a nice walk or exercise can become an anxiety filled event for you, if your pooch is pulling, barking, digging, darting and generally being uncontrollable. Bennie breaks down this overwhelming task and shows how to work it out, one piece at a time. Bennie’s realization came when working with his client whose dog was pulling, barking, digging, darting while they were going on a walk. By asking: “What is the most important thing you need from the dog?” they were able to single out one single behavior issue (of several) and work on it first. Since there were at multiple parts at play in order for this client to “Enjoy a Walk with the Dog” here is how to tackle the behavior. Second: Figure out ONE PART that most important TO YOU and start there. Third: Take a month or two and just work on just that ONE PART! In this case they started with pulling. While working that one part, she start to see an overall improvement in other areas of working with the dog. For example: if you only work on the jumping up (aka stay on all fours) this now effects all these areas where your dog needs to stay on all fours such as: greeting your friends, how he acts during meal times, how he plays with your kids… etc. 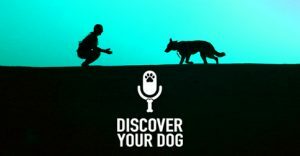 Addressing the one part of the behavior that can go a long way to getting your dog to behave well across the board. 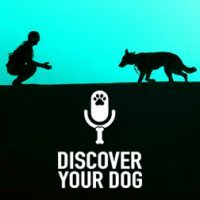 In our Discover Your Dog podcasts we talk about many of these specific behaviors and how to deal with them. Just check out the titles and you will know specifically where to start.